It is interesting to see that 75% of our current deficits came from Republican administrations…. To appease one of my commentors the chart above was apparently generated from 2010 data. See the comments to learn more…. Living Blue In A Red State…. One of my favorite FaceBook pages is a group called “Living Blue in a Red State”. Having lived in Indiana most of my life I can so relate to that theme. I don’t know if you have noticed this but for as long as I can remember when the network news starts on presidential election night they always start with “We are ready to call a State for (whichever Republican is running) and then they say Indiana. I know what it is like to live Blue in a Red State. I don’t know if I am true blue or just a shade of purple but one thing is for sure, except for my bleeding heart I am NOT red! I simply care too much for my fellowman to throw any of them under the bus as so many of those “red” folks tend to do. A recent post on the “Living Blue..” site showed the picture to the right. Up until 1980 I most often voted for Republicans. Maybe it was because I just hadn’t matured enough to know what I was doing! 🙂 But when Mr. Reagan was running his “trickle down” logic just made no sense to me. His anti-government stands were just too radical for me. I am a firm believer in the purpose of government is to do the people’s business and to protect us from the inevitable abuses of a capitalist system. Mr. Reagan espoused almost an opposite view from me. So as the Bible says I for the most part shook off the dust from my sandals and went elsewhere with my vote. I think that if things continue the way they are now many more people who vote Republican will be doing likewise. But of course if Reagan were running today he would be quickly dismissed by the folks who control the current GOP as just too liberal. But there is at least a substantial group of Republicans who continue to treat Reagan as some sort of god of the GOP. While Mr. Reagan was in office he basically tripled the deficit but that is seldom mentioned by my conservative friends. Instead they like to rant on and on how Mr. Obama drastically increased it when he came into office. I am certain that if Mr. Bush had not left the country on the verge of financial Armageddon due to his constant cutting of regulations Mr. Obama’s deficits would be minuscule. My Tea Party friends love to say that they would have just let the country go down in flames instead of bailing out those too big to fail. But then again the so-called bailout is turning out to be one of the most profitable investments made by government in many years. They have now actually turned a pretty substantial profit as a result of the bailout and as soon as Wall Street quits playing with the price of General Motors stock and allows it to reach its real value the government profits will go up even more. Now I’m not saying as most Republicans were chanting in the 1980s that deficits are actually a good thing. Mr. Stockman and his crowd had them thoroughly convinced that deficits were actually good for the country. I have always been one to live within my means and I think our governments should also except maybe under extraordinary circumstances and there have been only a few “extraordinary circumstances” in my lifetime…. Source: Fact check: Bill Clinton at the DNC – USATODAY.com. CHARLOTTE, N.C. – Former president Bill Clinton’s stem-winding nomination speech was a fact-checker’s nightmare: lots of effort required to run down his many statistics and factual claims, producing little for us to write about. The worst we could fault him for was a suggestion that President Obama’s Affordable Care Act was responsible for bringing down the rate of increase in health care spending, when the fact is that the law’s main provisions have yet to take effect. I must admit that I have always enjoyed listening to Mr. Clinton’s speeches. He just has a way with finding just the right words for every story. If someone had just super-glued his zipper on that fateful day of his “improper relationship” there would be little to fault him with during his presidency. 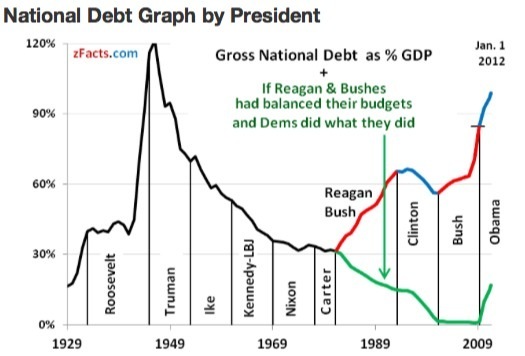 After all he was the only president in 50 years to have a surplus budget. I’m sure if any of my radical right friends dared to listen to his speech last night they are probably still uncontrollably wincing. During his speech he step-by-step dismantled every argument against President Obama found in the many vitriol comments given at the RNC last week. About the only thing the fact-checker could find in it was that maybe he gave too much credit to Obamacare in causing the healthcare declining costs last year. I know the Republicans gave the Affordable Care Act (ACA) the name Obamacare as a slam but it is now being commonly used as showing an achievement for the president. If there is anyone who still is on the fence in this election I would strongly advise them to get a copy of this speech and read it. 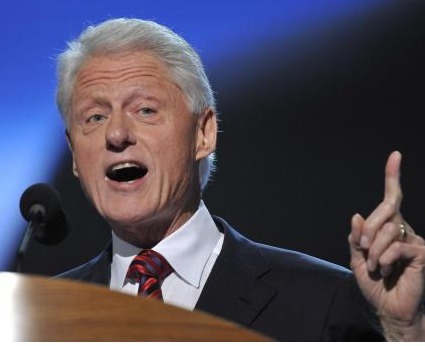 It was a forty-five minute speech given in the typical “Now listen this is important…” Bill Clinton mode. I would attempt to put down some of the most memorable things here but there are just too many to keep below my self-imposed five-hundred or so word limit for blog posts. The one thing in the speech that I will mention is his comment that during his lifetime he has never seen such hatred displayed toward a president. That is the most distressful part of the Tea Party version of politics to me. We had some very good friends in the past who are now spewing this hatred. To see the anger and hate in their eyes when they talk about the President of the United States is truly scary to me. But maybe the scariest part of this is that they are doing it in church related functions such as Bible study classes. I seem to remember Jesus telling us to love our enemies. My past friends seem to have forgotten that phrase as well as so many other found in their bibles! I see that the outlying political super pacs otherwise known as the ultra-rich-radical-right are now hitting on Obama because it looks like the government might lose up to $40 billion in the bailout of General Motors. They claim that it is typical of him to throw away all our tax dollars. But I look at the other side of the coin. We have lost more than $150 billion in revenues with the tax give-aways of the Bush administration. The main logic behind those tax breaks was that if we tax the “job creators” less they will have more money to hire more people. It is amazing that some, including Mr. Ryan, are still using that rhetoric almost twelve years later. Where are all those jobs that they are supposed to use their additional wealth on? They just didn’t create them; instead they, like Mr. Romney, put the money into their off-shore accounts. Getting back to the so-called waste of bailing out GM. Since the banks were in a total melt-down at the time it would have been likely that GM and Chrysler would have gone out of business if the governments of Mr. Bush and Mr. Obama had not stepped in. That would have meant millions more would have been added to an already swelling unemployment number. I’m just a simple guy but spending $40 billion to save millions of jobs makes more sense than giving the super-rich more tax breaks with no effect on the economy. I’m sure there are those among the GOP spinsters who are trying to figure out a way to change my mind about this but I think, even though I am a simple guy, I will know enough to see through those yahoos words. I also hear the stories around just why GM stock is so low right now and that is because all the big money funds are waiting for the government to dump their shares at a discounted rate so they can then jump in and make a windfall profit when it moves to its true value. If I was Mr. Obama I would just keep the stocks to spite those guys. After all what’s another $40 billion to the already exploded deficits? But that is another story for another time I guess.